DUBOIS – The WPAL Boxing & Fitness Center will host youth of Abraxas 1 for a boxing workout Feb. 28. 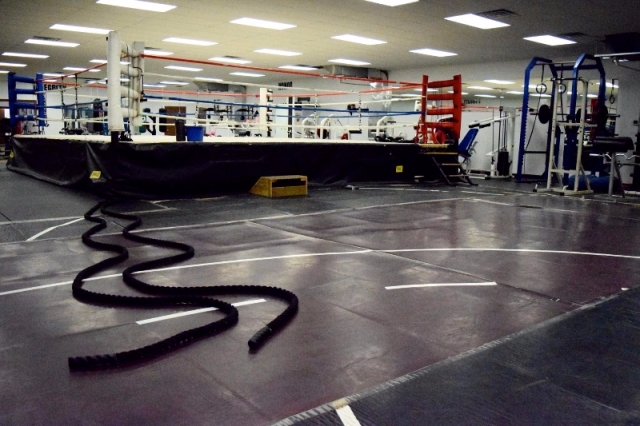 Former National Collegiate Boxing Association Champion, Lee Dixon, who is a Clearfield High School graduate, and WPAL Boxing & Fitness Center’s own Dakota Herman, will run a 90-minute workout/learning experience for the youth. Dixon said: “As a former Motivational Boot Camp chaplain and youth camp counselor, I have personally witnessed the devastation of fatherless homes and drugs and alcohol on the family unit. “I lost my father who was a great man suddenly at 15 years old and harbored an enormous amount of anger in life. Boxing became a safe haven for me and a healthy outlet at a time in my life where I could have went far on the wrong path. The WPAL is dedicated to the growth, advancement and recognition of local youth within the sport of amateur boxing. DuBois Executive Director Aaron Beatty said the WPAL provides cultural, recreational, educational and social activities that encourage building positive character traits. The programs are designed to reach children while they are young and teach them high moral standards through positive interaction with law enforcement and community leaders. The WPAL helps to encourage youth to believe in themselves while emphasizing the importance of self-control and respect of others. Here in DuBois, the WPAL Boxing & Fitness Center offers youth a free membership to their newly-renovated, 7,000-square foot fitness center. Any child between the ages of six and 18 years old is invited to work out in the gym, located at 37 E. Long Ave., completely free of charge. Abraxas 1 is a youth mental health/substance abuse treatment facility in Marienville in the Allegheny National Forest in northwestern Pennsylvania, tucked quietly away from what many youths are accustomed to. The facility affords a safe, nurturing and structured environment designed to empower young men and women to make positive changes in their behavior, attitudes and beliefs. For more information, e-mail info@wpal.org. You can also “Like” the Facebook page at www.facebook.com/wpaldubois. The WPAL Boxing & Fitness Center, a 501(c)(3) non-profit organization, is located at 37 E. Long Ave., DuBois, PA 15801.